Located just north of Vancouver, Canada’s Sunshine Coast attracts outdoor enthusiasts from around the world; partly because if its location and partly because of its spectacular scenery. It’s close enough to a major city for an impromptu getaway, yet it retains an air of seclusion because of the absence of major highways. 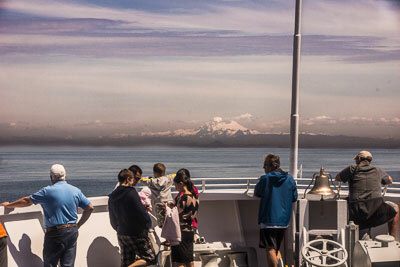 Couple that with the magnificent scenery — remote inlets, lush coastal forests and the occasional quaint village or town — and you have all the ingredients for an adventure-filled weekend. And although “secluded” and “adventure” are usually code words for inaccessible, gladly that’s not the case here. 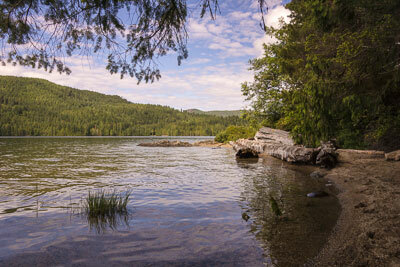 In fact, thanks to a forward-thinking group of local advocates and business owners, the Sunshine Coast offers several unique accessible recreation opportunities. Because of the availability of accessible lodging and ferry connections, Powell River makes a good home base for a Sunshine Coast visit. BC Ferries (888-223-3779, www.bcferries.com) offers direct service from Comox (on Vancouver Island), and a combination ferry and driving route from Vancouver. Although both routes also accept walk-on passengers, you’ll want to take your car, as you’ll need it to get around on the Sunshine Coast. The Comox to Powell River crossing takes just 40 minutes, but the Vancouver route is a bit more complicated. The Horseshoe Bay to Langdale leg takes 40 minutes, but then you have to drive to Earls Cove and take the 50-minute ferry to Saltery Bay. From there it’s just a short drive up to Powell River. Because of the required connections on this route, it’s best to get an early start, in case a ferry is full. If you opt for a later departure, be sure and study the schedule carefully, to make sure a same-day connection is available. Once you get the logistics sorted out, you’ll be happy to know that access is good on all the routes. All of the ferries have drive-up ticket kiosks, so you don’t even have to get out of your car to buy a ticket. 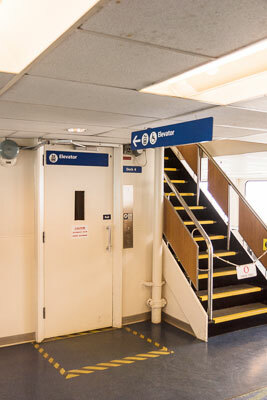 The ferries all have elevator access from the vehicle decks, barrier-free access to the lounge areas, and accessible restrooms. If you use an assistive device, and need parking close to the elevator, be sure and let the ticket agent know. You will be boarded first and instructed to turn on your emergency flashers when you board, to alert employees that you need a spot near the elevator. Finally, a word about reservations — get them if you can. Reservations are not required, but they are available for an additional fee on some routes. Basically they guarantee you a spot on that specific ferry, and they are highly recommended during peak travel times, the summer, on weekends and on holidays. 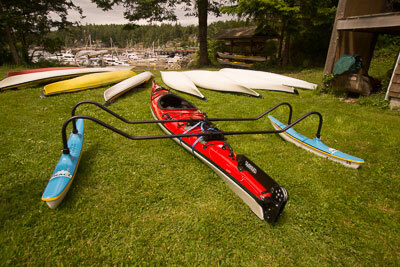 Reservations are available on the Comox to Powell River route, and the Horseshoe Bay to Langdale route. They are priced at $15 if made seven or more days in advance, and $18 any other time. It may seem expensive, but it’s really a small price to pay for a little peace of mind. Located north of Powell River, Inland Lake Provincial Park (www.env.gov.bc.ca/bcparks/) is the crown jewel of accessible sites on the Sunshine Coast; largely due to the efforts of the good folks at the Model Community Project (www.modelcommunityproject.ca). Shortly after the area was designated as a provincial park, Model Community Project volunteers constructed a 13-kilometer wheelchair-accessible trail around Inland Lake. 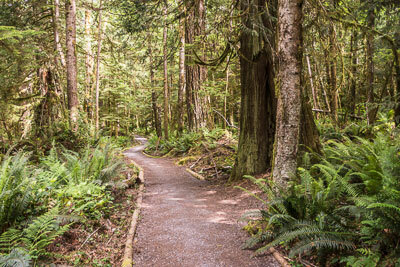 Later they added some rustic cabins, picnic shelters and outhouses along the trail. Today the Model Community Project — whose goal is to make Powell River more accessible — has a stewardship agreement with BC Parks, to raise money for improvements and repairs to the accessible facilities in the park. 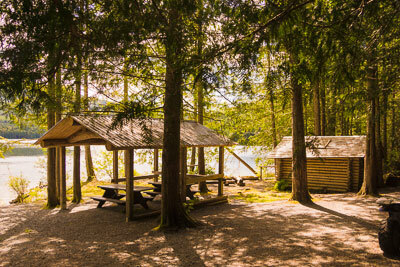 Accessible parking is located near the trailhead in the campground area, and the accessible Inland Lake Trail is wide and level, with benches and picnic tables located along the route. The two rustic cabins have dirt floors, platform beds, picnic tables and outhouses, and they are available on a first-come basis. In theory, people with disabilities are supposed to be given priority to these cabins, but with no campground manager on-site it’s doubtful that able-bodied campers would give up the space. Plus, since there is no reservation system for the cabins, it’s impossible to tell if they are vacant without walking at least three kilometers. Still, if you want to roll the dice, you’ll be rewarded with a very quiet and secluded campsite. The Pier Cabin is the closet one to the trailhead, as it’s just three kilometers from the campground. The Anthony Island Cabin is seven kiliometers away on the other side of the lake, a little over three kilometers from the campground. It’s the more isolated of the two cabins, as it sits on a small island and has an accessible path down to the beach. Even if you can’t manage an overnight visit, the Inland Lake Trail is perfect for a day hike, as it offers several picnic options. The closest picnic area is just under a kilometer from the campground, and it features a lakeside picnic table on a flat patch of grass. If you can hike a little further, the Outflow Shelter is about seven kilometers from the campground. It features a covered picnic area and an accessible outhouse. And of course, if the cabins aren’t occupied you can also use the picnic tables there. Terra-Centric Adventures offers three-hour accessible kayak excursions, which include a marine education component with a naturalist. The accessible tours are usually private and customized to individual needs — in fact, they even designed a paddle for an arm amputee. Special accommodations are also made for boarding — which is done from a cement boat ramp or on the beach (at high tide) — to make things more accessible for slow walkers and wheelchair-users. Terra-Centric Adventures also has a partnership with the local CIL, so they’re very familiar with access adaptations of all sorts. Plan ahead though, as space fills up quickly, especially in the peak-season summer months. 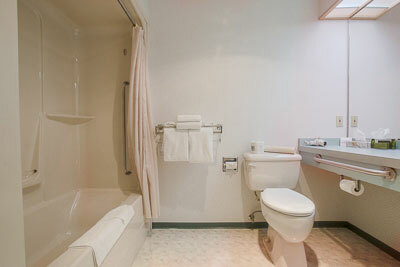 The best way to enjoy the Sunshine Coast is to linger on; and the Town Centre Hotel (604-485-4681, www.prtowncentre.com) is a good lodging choice for wheelchair-users and slow walkers. In fact it’s the only Powell River property that has earned a L1 (the highest) access rating. Although Canadian access criteria differs from that in the U.S., L1 access includes accessible parking, wide doorways and corridors, barrier-free pathways and elevator access to all floors. The Towne Centre hotel has all of that and more. There’s a barrier-free path to the front entrance from the nearby accessible parking space, but accessible room 135 is closer to the accessible parking space in back. 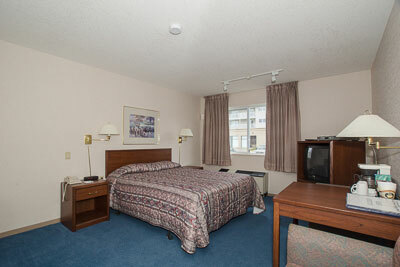 The room features wide doorways, and a queen-sized bed with wheelchair access on both sides. 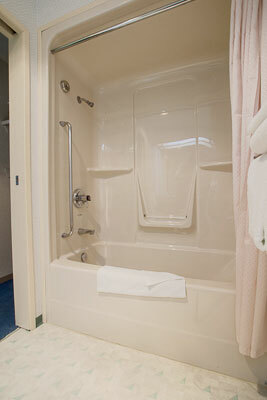 There is a wide sliding door into the bathroom, which includes a tub/shower combination with grab bars, toilet grab bars on the left and back walls (as seated) and a roll-under sink. All in all it’s a very comfortable room, and it’s nice to see that the small details — like lowered closet rods — weren’t forgotten. There’s good access around the rest of the property, including the on-site restaurant, where the complimentary breakfast buffet is served. Best of all, the management heartily supports local advocacy efforts, including the work of the PRMOS. After all, access is more than just ramps and curb-cuts — it’s also an inclusive attitude.